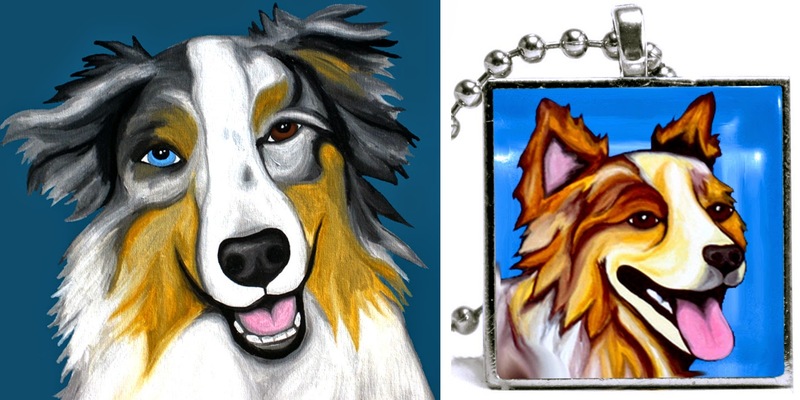 Hand Sketched & Painted Custom Pet Portraits, Full of Personality. 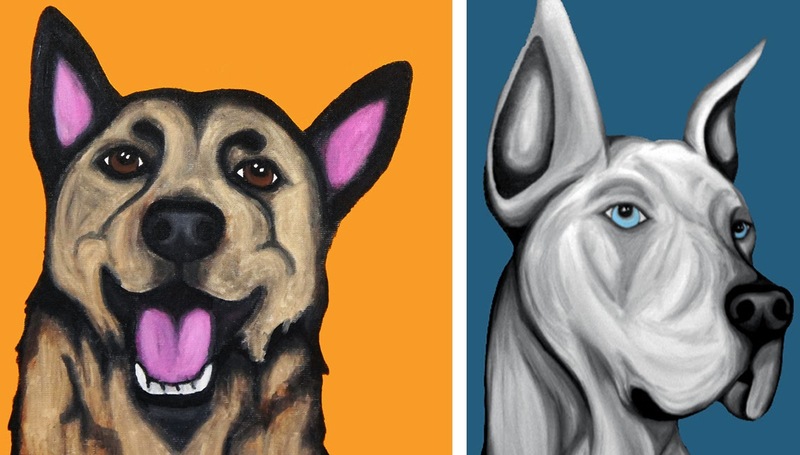 Art to Celebrate your Furry Best Friend & Benefit Animals in Need. How many people do you know that are lucky enough to spend both their personal and professional time dedicated to what they love? We are all seeking this in one way or another, and I imagine for many of my readers, this involves some type of artistic expression. 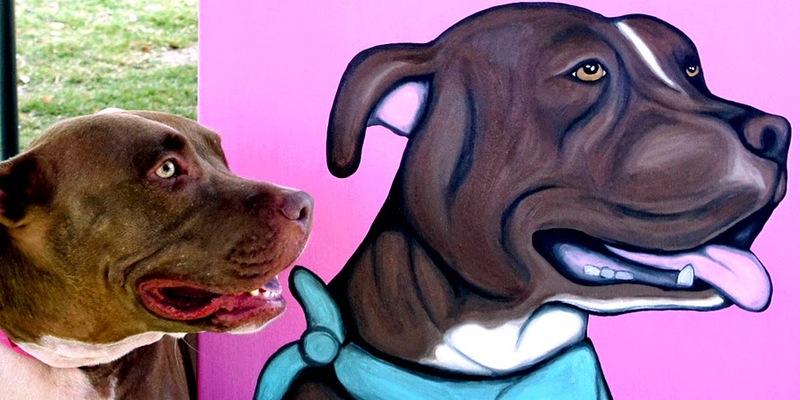 For Austin artist Stephanie Conrad this means combining her passions for Painting and Pets. She is talented painter of portraits, but with a unique twist ... most of her subjects are dogs and the occasional cat or other household pet. Her specialty is custom work. All she needs is a picture of your pup to translate on to canvas in her characteristic style. Stephanie tends to favor bright colors, allowing her portraits to pop on a solid background. 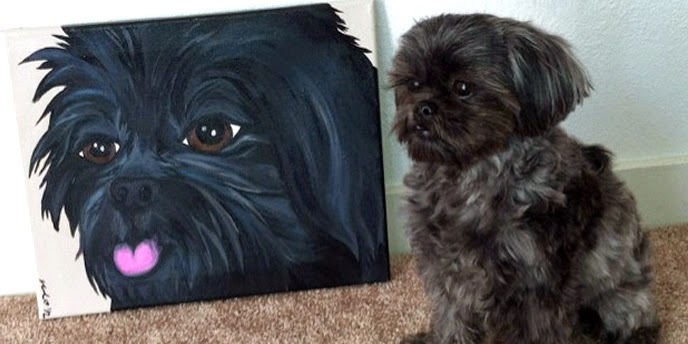 She manages to capture an incredible likeness in each one of her paintings even though she may never have met your pet in person. With that said, her style is not hyper-realistic, but it's also not too cartooned or abstract. She sits somewhere in the middle; her paintings are fun, beautiful renditions made with love. Stephanie takes her appreciation of pets one step further through her philathropic efforts. She often spends time in animal shelters when not painting and donates a percentage of her profits from her art to various animal rescue organizations. Every purchase makes you feel good in more ways than one as show your love for your dog or cat and benefit others. 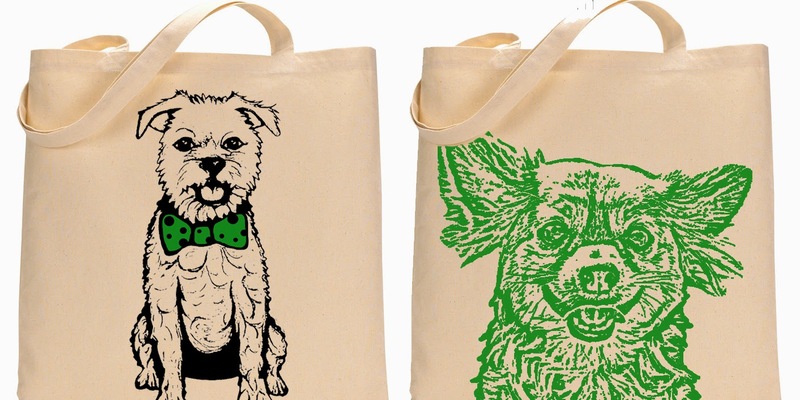 And if you're not looking to immortalize your own pet, this artist also has a wonderful line of pet printed tote bags and pre-painted portraits or pendants for sale. Find a pup that looks like yours or one you wish you had. 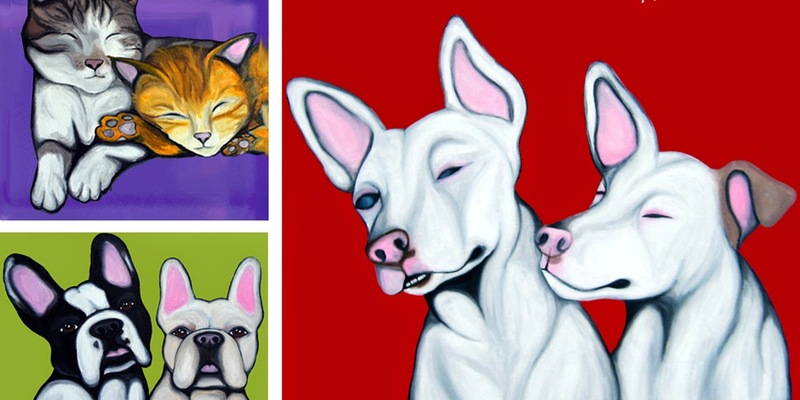 Stephanie's art is sure to make you smile like the pets she portrays!